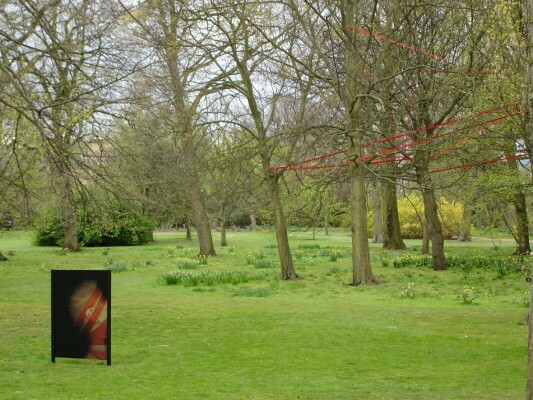 The installation consists of red strap tightened between a group of trees and three identical coloured scans placed in different parts in the garden. 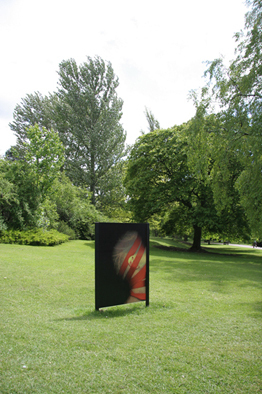 The work coexists with its environment, asserting its full materiality without dominating and obscuring it. 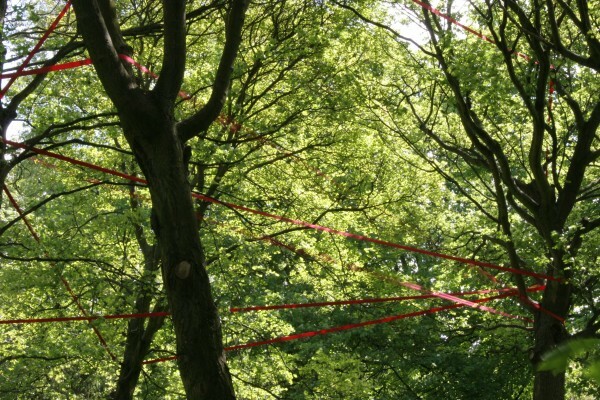 The space between the trees becomes the material of the work as the linear quality of the strap establishes a new space within the existing space. 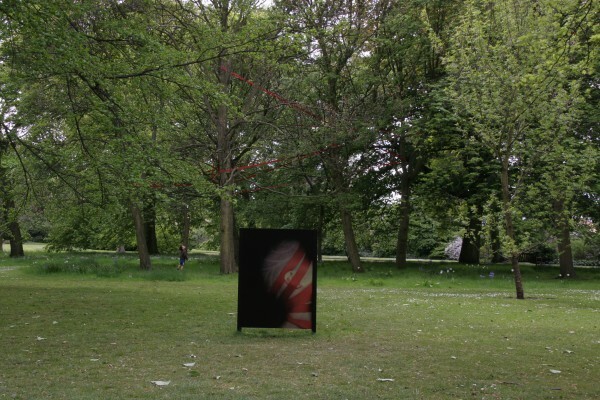 The three identical scans ‘Myself Strings 22’ show my head tightened with the same red straps as used in the installation. The organic shapes shaved into the short hair line up with the lines of the trees and stand in sharp contrast to the straps running over my body. The obvious materiality of the body is used to push limits and borderlines, versus the strap installation which focuses on the ‘insubstantial’ materiality of space.